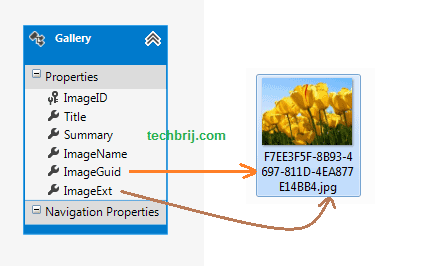 In above structure, ImageExt is extension of image, ImageGuid is unique identifier column and images are saved in Images folder having name combination of Guid and extension. We will use bootstrap’s CSS only. 3. Add a controller (say HomeController.cs) and an action to get data from database using Entity Framework. 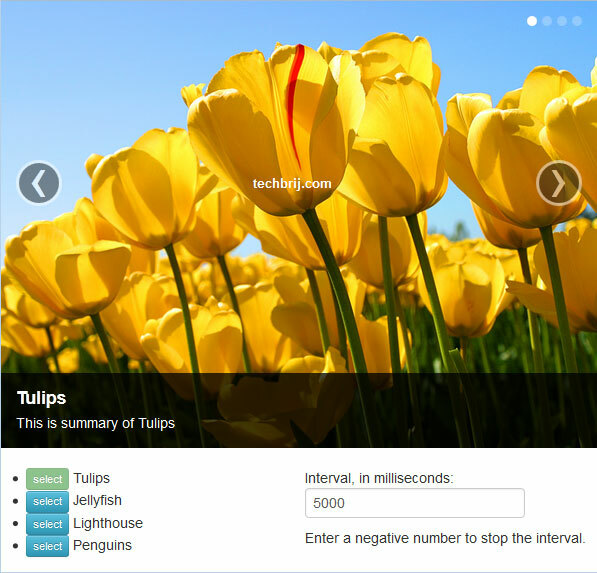 Enter a negative number to stop the interval. User can set time interval and select any slide directly using select buttons. We have seen how to use UI Bootstrap and implement Carousel with ASP.NET MVC and AngularJS without using jQuery/jQuery UI. That is awesome! Too bad it requires AngularJS though. Looks so catchy! Will enhance any website. This is fantastic that with so few lines of code a nice presentation grade website can be built.